Price Drop! Was: $119.99 Now: $49.99 . For a limited time only, while stocks last. 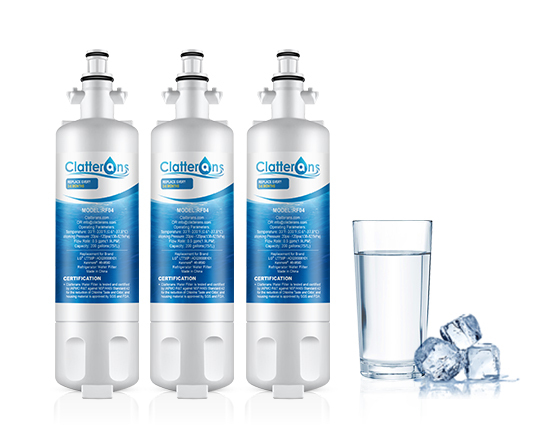 Rid your concerns about whether the drinking water is safe or not from your refrigerator by replacing your old filter with our Clatterans water filter. 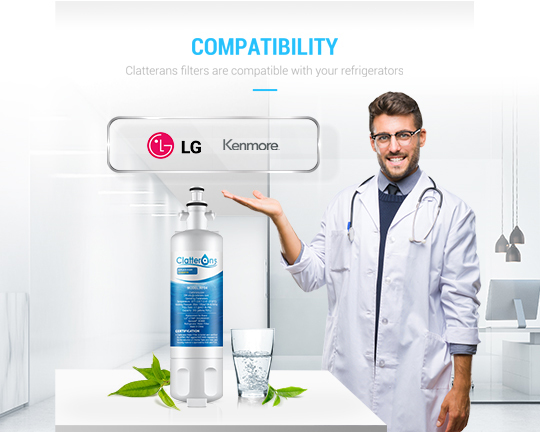 The LG refrigerator water filter is powered by activated carbon and certified to produce cleaner and fresher drinking water for your whole family through diminishing the chlorine taste, strange odor, and other injurious contaminants. 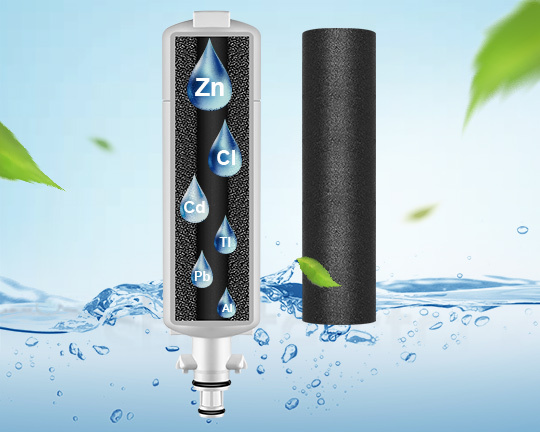 Utilizing state of the art technology, LT700P guarantees to eliminate harmful elements hidden in the water like lead, mercury, benzeneand chlorine efficiently. 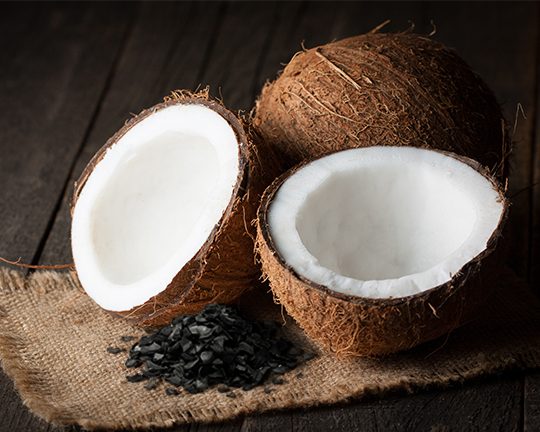 However, it will ensure the natural and beneficial minerals living in the water to keep you in good health in the long run. Grab the Kenmore 469690 or LG LT700P with six-month lifespan to deliver tasting water and ice. NSF & IAPMO Certified and meets NSF/ANSI standards 42. 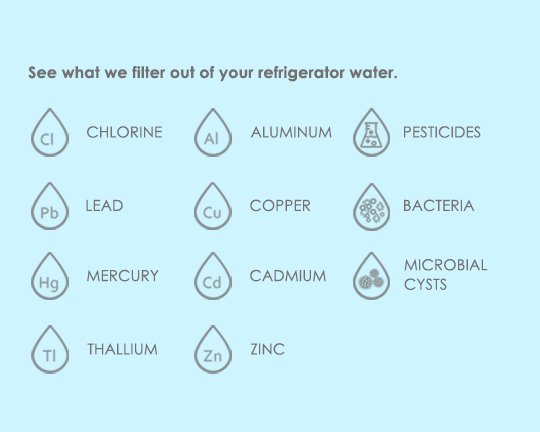 SIX MONTHS WATER FILTER SERVICE LIFE: The real filter life span depends on water quality and level of contaminants, but for best filtration results, please Replace filter every 6 months or 200 gallons to maximize contaminant reduction. 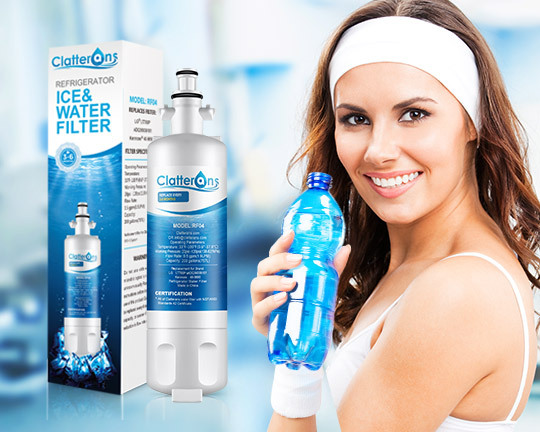 For your peace of mind, our LT700PFilters with up to 6-month longer life are quality approved by IAPMO and NSF to serve you cleaner, fresher, better-tasting and wholesome water. Compatible with LG REFRIGERATORS: LFX25978SB, LFX25978ST, LFX25978SW, LMX25986SB, LMX25986ST, LMX25986SW, LMX25988SB, LMX25988ST, LMX25988SW, LFX25991ST, LFX28968SB, LFX28968ST, LFX28968SW, LFX28978SB, LFX28978ST, LFX28979ST, LFX28979SW, LMX28988SB, LMX28988ST, LMX28988SW, LFX28991ST, LFX28995ST, LFX29927SB, LFX29927ST, LFX29927SW, LFX31925ST, LFX31925SW, LFX31935ST, LFX31945ST, LFX31995ST, LFX32945ST, LFX33974ST, LMX30995ST, LMX31985ST, LSSB2791ST. Super price and does just as good as the LG ones! Save your money and order these! Swapped old and new filter out in less than 30 seconds, cycled water as instructed to clean lines and crystal clear drinking water. 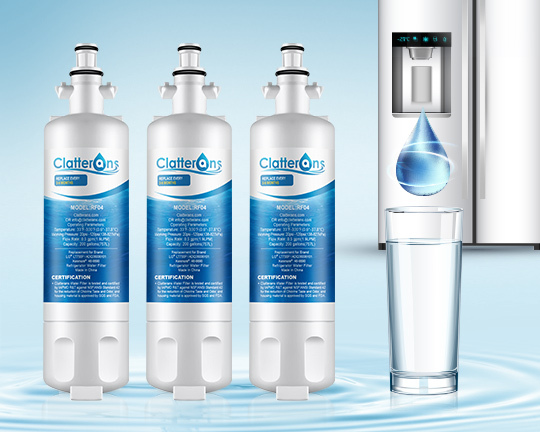 Great product Clatterans keep them coming! Great product works great for my LG refrigerator and the price is much better than buying from the company. Water taste crisp and clear, love the way it filters out all the impurities. For the price isn't amazing. Loved this product. I am going to buy only this product from now on and definitely recommend it to others. Thank you it arrived on time, great packing, and good service too. Seems to be working great and water tastes good too. Wouldn't even know I wasn't using the original.